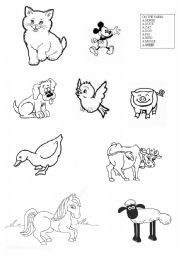 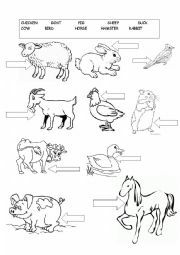 For young learners - simple exercise ,children write the correct name of the animal from a list and then colour it. 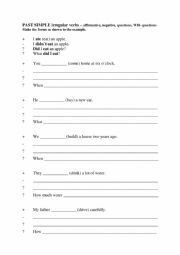 Easy exercise to practice basic forms ob BE and REGULAR VERBS in Past Simple. 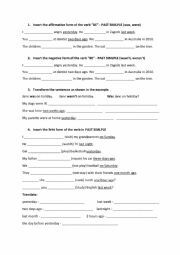 PAST SIMPLE irregular verbs � affirmative, negative, questions, WH- questions Make the forms as shown in the example. 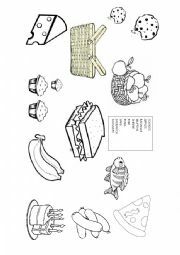 A very simple exercise for early learners with minimum text. 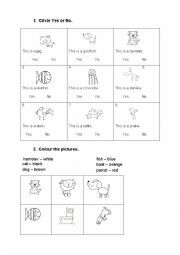 Children recognise different animals and then colour some animals according to the instructions. 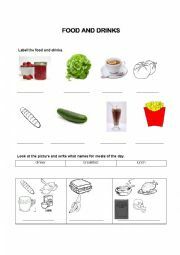 Easy exercises with food, drinks, meals of the day and some open questions for students to answer.